Located strategically near the highway suitable for 1 night stop for people travelling from Paris to South/South East of France. Clean, easy access, close to shops and other amenities. Value for money but I’m afraid the mattress was not comfortable. Rooms are basic but fine. Breakfast is good but I didn’t sleep much this time as the mattress was very uncomfortable. Shame as we were in a ‘new’ room. A clean and comfy room that welcomed us and our dog. The receptionist was very welcoming and helpful upon our arrival. The room was lovely and warm on a very cold night in Dijon and very clean. We have stayed at this hotel many times and it always feels familiar and comfortable. Rooms are clean and fairly comfortable and the breakfast is good. Booking straight forward, online check in a nightmare, arrival and room ok.
Room was fine, but your confusing online check in has cost me an additional £36 and generated a separate unwanted booking. Unacceptable! Good value for money, clear and ideal for a short stay. Easy to use and the accommodation was exactly as advertised. Staff were friendly and helpful. Very impressed! Hotel is not luxurious but clearance and comfortable, perfect for an overnight stop. Good experience, rooms are clean, very good breakfast and secure parking. Well worth the money. Clean, smart room. Good breakfast. Very efficient service . Excellent value for money. I am very pleased to get back in this hotel every time I crss france in my journey to or from Spain. The staff is very friendly, and the location perfect. The offer to have a reduction on the dinner at the Ibis Nuits St Georges is perfect. 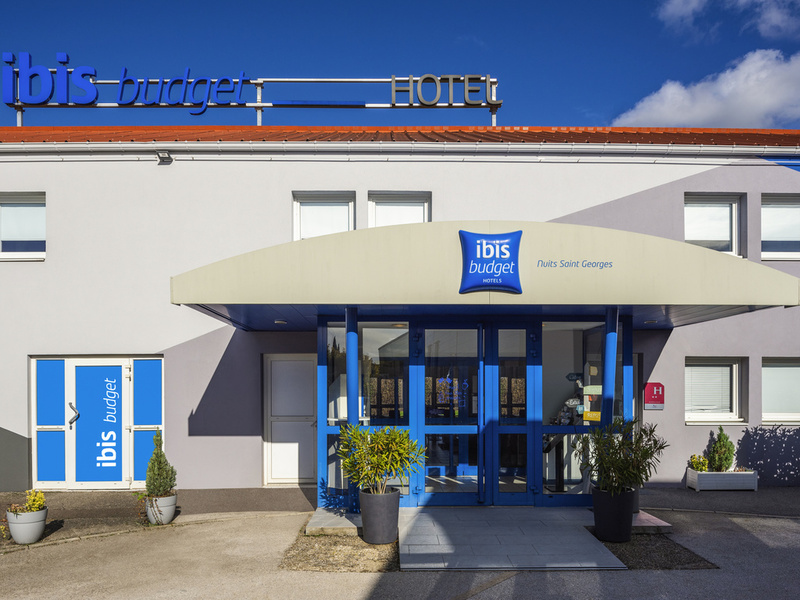 The hotel Ibis Budget is very close to the highway exit Nuits-Saint-Georges, close to the village center as well. It is like a country motel, with a big parking place in front of the building. Rooms are normally sized, cleaned. I stay here 3-4 times a year. A perfect location as it’s half way between Calais and South of France. I generally arrive late and leave early, sometimes after a quick breakfast. Dog friendly too. Always clean and good value. Some or all the rooms have been upgraded recently. Great place, well maintenance and great services by the staffs. Overnight stay breaking up our journey to holiday destination in Provence, Pleasant staff, good, clean, value for money amenities, all you can eat breakfast. But....pillows are pathetic! Pillows were too then resulting in a restless sleep. Breakfast was a free for all with no organisation and no sense of order.